Let the day start with a 22 kilometer road bash. The first third in dry weather, the remaining two thirds in drizzle (the low dark clouds let me expect it...) on a surprisingly busy road. Hitching a ride out would probably be not too difficult and I'm actually quite tempted to lift my thumb. But no. I want to hike as much as possible. Eventually, I leave the road and what looks like an infrequently used track over pasture, takes me down to and then along the lake. Some sidling in steep terrain but all in all a pleasant walk with nice views, as the drizzle has stopped while descending to the lake. Even some sunrays find their way through the clouds. 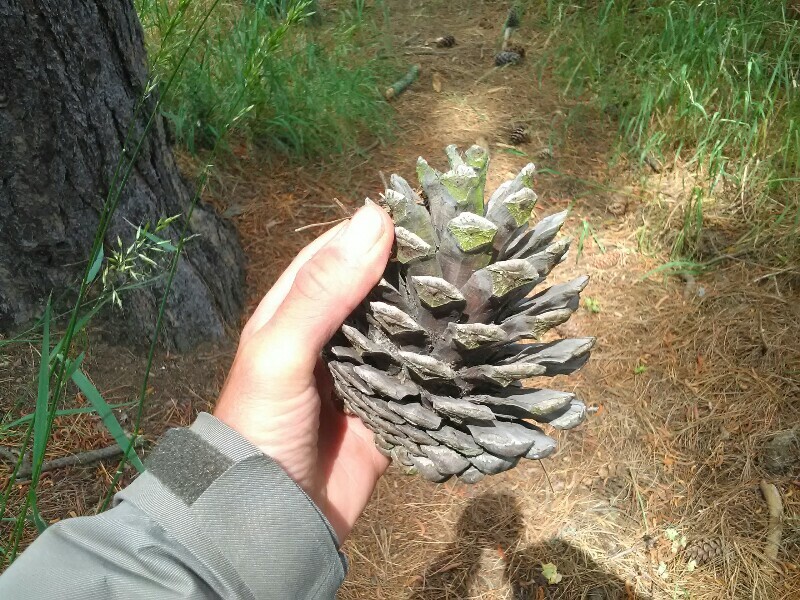 After another short gravel road section, I descend through the Arboretum, featuring some interesting pines, to Lake Coleridge Village. 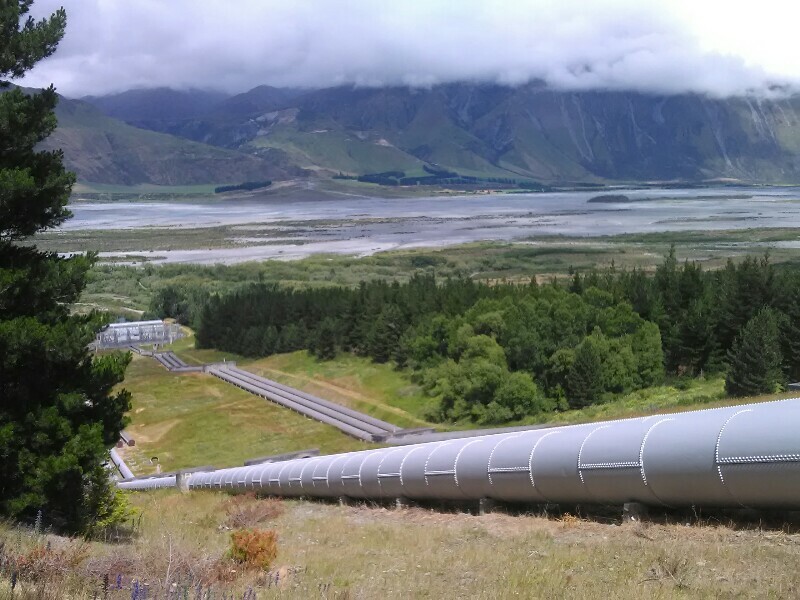 While descending, I get some good views of massive Rakaia River, seperating me from Glenrock, the starting point of the next section. 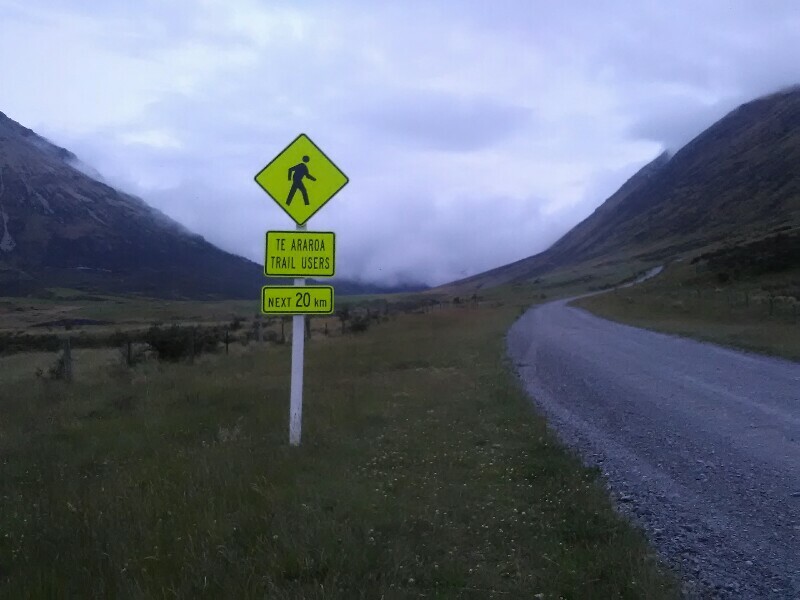 As the crossing of Rakaia is not part of the TA (it's a so-called hazard zone) and I'm not adventurous/brave/stupid or whatever you want to call it, enough to cross it neither, I decided a few days ago to hitch around (and that's actually what the trail notes encourage you to do). I initially wanted to walk around the 50 kilometer but that's an awfully long road walk (especially for the second river, Rangitata, a few days further south, which would take me a few days to walk the 140 kilometer). Better spend these days more useful somewhere else. Especially as, according to the trail notes, hitch-hiking around won't compromise the integrity of the thru-hike. It's only noon and I'm positive to make it to Methven today. I position myself strategically at the eastern end of Lake Coleridge Village and settle in for a long wait. Before I can open my pack of peanuts, a mother and her three children (the 9 year old at the wheel, btw!) drive by (unfortunately the wrong direction). They let me know that in case I won't get a ride today, I could spend the night at their place. Lovely offer but I sincerely hope I don't have to make use of it. Anyway, good to have a plan B. 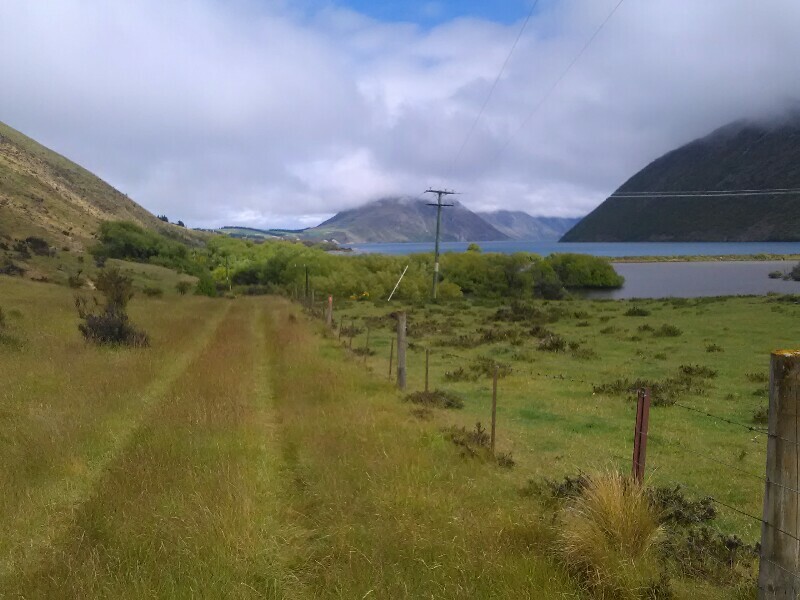 Before I can finish my pack of peanuts, 3 Chinese tourists pick my up and take me to Windwhistle, where I have to wait 2 minutes until Robert from Rostock, who is heading to Lake Tekapo, gives me a lift. 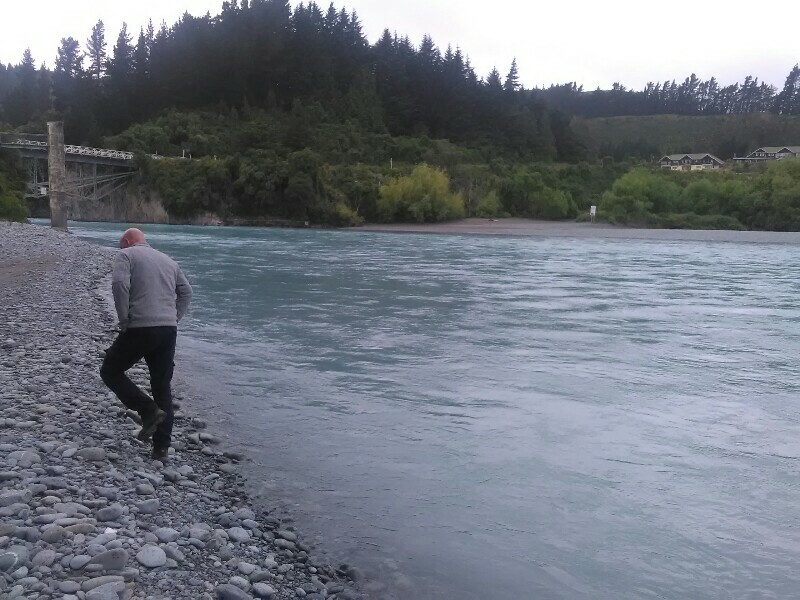 We briefly stop at the Rakaia Gorge to have a closer look at the wide, fast flowing river. Robert makes a 20 kilometer detour to Methven and drops me right in the centre of this rather pretty, but deserted winter sport town. Time: 2 o'clock. Wow! Way earlier than expected! By habit, I drop by the I-Site (tourist information center) to get an update of the trail condition. All okay and they let me know there's a guy called Bryan, who takes trampers all the way up to the trail head for 20 Dollars. Done deal as I know the road up there is probably gonna be deserted. Pick-up time 8:30 tomorrow morning. With one problem less to deal with I get food for 8 days, which is enough to make it all the way to Lake Tekapo. At the fully booked hostel, I meet Jasmine from Dunedin, hiking the South Island. As she is planning on hiking from Glenrock as well, I inform her about my ride tomorrow morning. She doesn't want to decide yet whether to join, but I'm quite sure to see her in the car tomorrow. Please let me know if you're looking for a article writer for your weblog. You have some really great articles and I think I would be a good asset. If you ever want to take some of the load off, I'd love to write some content for your blog in exchange for a link back to mine. Please blast me an email if interested. Kudos! What's up everybody, here every one is sharing such know-how, thus it's nice to read this weblog, and I used to visit this blog daily.